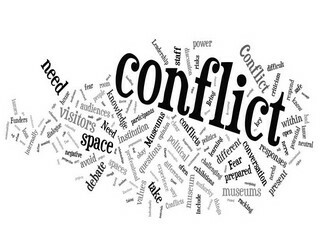 7 YRS PROCESS - DAY 2258 - WHY DO I HAVE CONFLICTS WITH PEOPLE CLOSE TO ME ? I did not talk today with my friend about the conflict that we had. I do not know if conflict is the right word to use. It is more that we are not united and not synchronized in what we are doing. It looks like we are on the crossroads and we take different paths without realising it fully yet. So this is the possible cause of this friction between us. This split can also be result that we entered into the polarities of the mind and we polarized the whole situation, which is clearly visible to me in our conversations. So it looks like another will leave my life. This was the last person from the group within the project that I tried to start last year. Now... what does this whole situation tells me about myself ? I see that I expect people who are close to me that they would follow my pace in the things that we do together. And there is the point that in certain elements I am stronger ( and vice versa ) and I have more experience and thus they would have to go through an inner transformation to be able to be on the same level. And I try to guide them towards this transformation but then I did not realise that this was my own wish and desire and not theirs, which led to all those conflicts with the people who were close to me and eventually they left or it was me who left them. It is obvious that my intentions are good and I do it because I would like to make them stronger. Right now there came also another important point in my mind, which is related to this situation. I see that these people who were close to me did not want to learn how to be strong themselves but they were falling into the trap of relying on me, getting comfortable and getting addicted in a way. For me this is frustrating and I start to become mean, unpleasant and almost nasty to them. At first I do not realise it. But later I do, as the conflicts and discussion starts to arise between us. Anyway for now I see that I need to recognize why people come to my life and stop expecting them to change. If they want to change and they need assistance they will ask. And this also brings me to the point to chose more selectively with whom I maintain close friendship/relationship. And if I decide to do something together then I need to make it clear as much as possible right from the beginning.